If you've been reading this blog for a while you've probably noticed that I often dedicate each week to a specific topic, and when I started planning for this week the topic that I had in mind was engaging families in classroom activities. But of course, as I started thinking about that specific topic I came up with way more than a week's worth of posts. So I'm going to try something new, I'm devoting the entire month of February to topics related to partnering with families and promoting strong families. I think the timing is perfect, so much of what we talk about in February is related to love, and for preschoolers, the people that they love the most are their family members. SO this topic is especially relevant. 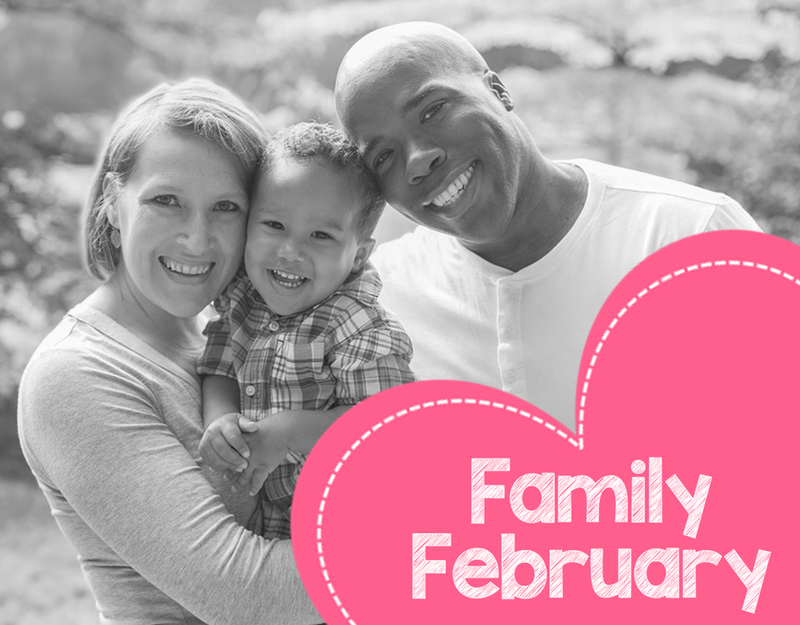 I've got some great ideas for Valentine activities and events that focus on families, as well as some non-Valentine ideas to share too.